Find out the new Rossini Illuminazione number Zero catalogue, in the DECO edition – furnish your home with light, and in the TECH edition – technology in light. Our company was founded in a small warehouse in 1929, Milan, with the name “Ditta Rossini Otello”. We started our activity by selling art objects made by the Venetian glassmakers. The Murano glass chandeliers made their first appearance in 1946 and since the 50’s, people realized that this market could grow, thanks to the constant availability of a range of products. Today, we can define ourselves a modern and cutting-edge company, in terms of organization and technology, with a fully computerized warehouse. The richness of our catalog as for models, types, colours and finishes, has always bene one of our strengths. Today, we manage about 5000 references and the range is always increasing. Edition number 1 dates back to 1961 and, year after year, we reached edition number ZERO. Because from four sides and a dozen products, the offer has now become so broad as to be in two different catalogs. DECO edition and TECH edition. Number ZERO: a new beginning, a revival, a new life. In fact, today we are taking a historic step. The choice is dictated by the need for almost daily updates, based on evolving technologies that our industry has met with the appearance and development of LED. To give customers a continuous adaptation to technological developments, to achieve the best performances of luminous efficiency and maximum energy efficiency, we decided to create two different issues that will have different developments. Two different languages, two different ways of doing light, a single and common brand: Rossini Lighting. Now, we tell you about that in detail. The DECO catalog is divided into a proposal with a modern taste and a proposal with a classical taste. Lamps having more essential and minimal lines, materials such as glass, aluminium, fabric and polycarbonate; but also more refined and traditional chandeliers, enhanced by the use of glass blowing and the artistic works created by Venetian glassmakers. Independent chapters are dedicated to the lamps for the bathroom (where you can find mirrors as well), fans (different models, both classical and essential) and accessories (spare parts, lampshades and light bulbs). 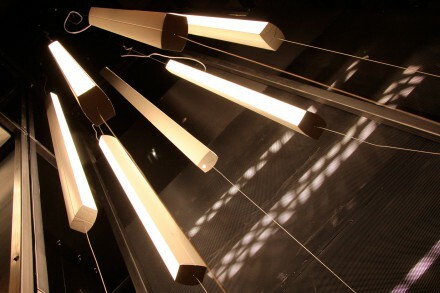 This ornamental offer does not neglect LED technology: there are many devices with LED light source, which enable better light and energy efficiency as well as consumption reduction. The TECH catalog is divided into 8 chapters, distinguishing between indoor and outdoor products. 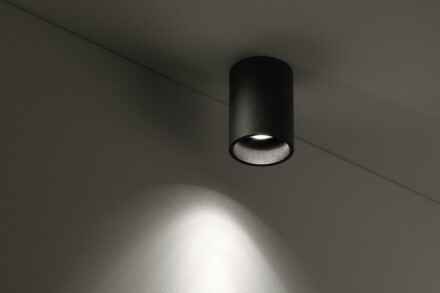 Indoor lighting includes indoor built-in devices (devices to be built-in, light cuts and solutions where lighting becomes an architectural element in drawing spaces and delimiting volumes), a section on wall-ceiling-suspended indoor equipment (products for multiple installations and with a technical taste and clean lines), profiles and systems (devices suitable for offices or business areas, thanks to their modularity and flexibility), tracks and projectors (for the retailing and exhibition world). The outdoor offer is divided into built-in devices (for wall or floor, driveway or walkable areas, to signal walking or illuminate porches), wall products (for light effects on surfaces or to illuminate outdoor areas diffusely), ground products (poles for gardens and streetlamps for residences) and projectors (for a diffused lighting of facades or green areas). It is a wide range of LED products, updated according to the current quality standards and that aims at constant developments, in line with technological development and in compliance with environmental and industry regulations. The technical files of each product show all necessary data in a clear and intuitive way for a reasoned and aware choice of the device and its light source. Previous storyCinderella shines on its own at the MET Gala. Next storyWhen is the summer solstice? 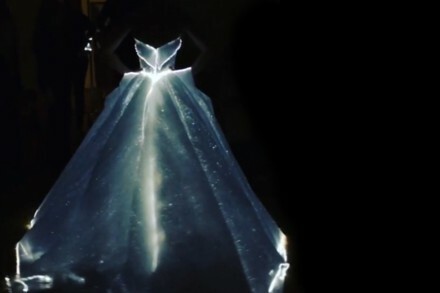 Cinderella shines on its own at the MET Gala.